The cloth vs. disposable diaper debate is one that presents quite a conundrum for green parents. But when gDiapers hit the scene, a hybrid diaper was born! Read more about this ingenious invention that pairs the convenience of disposables with the sustainability of cloth diapers, and meet the eco-conscious mom and co-founder of the company. 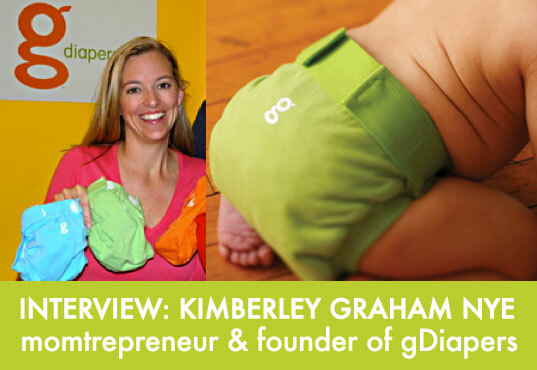 Click here to read my article on Kimberley Graham Nye of gDiapers! that is great idea, i have seen this on another blog aswell and i think adorable idea. i am considering to use for women peds as well. to use some "not disposable" way to use it! thanks a lot to share!